Real Life Blaze?. Blaze the Cat has jumped through the screen into our dimension? 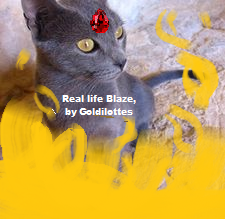 It's my interpretation of Blaze in real life ^^ Just for fun x. Wallpaper and background images in the Sonic the Hedgehog club tagged: blaze cat real life sega goldilottes. This Sonic the Hedgehog fan art might contain tom, tomcat, gatto, vero gatto, gatto vero, and gattino.